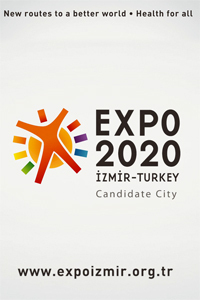 In 2013 the city of Izmir, Turkey, was applying for being the host of the EXPO 2020, for which Unexpected worked extensively on one of the application films, telling about the country´s heritage and dedication to the slogan "Health for all" - for centuries. For the time of post production I joined the team as a compositor (and 3D artist, to a small degree). As the original plates were shot on location in Izmir with only limited amounts of bluescreen avialable, extensive rotoscoping and cleanup work was required to blend in the digital set extensions with the archeological remains.